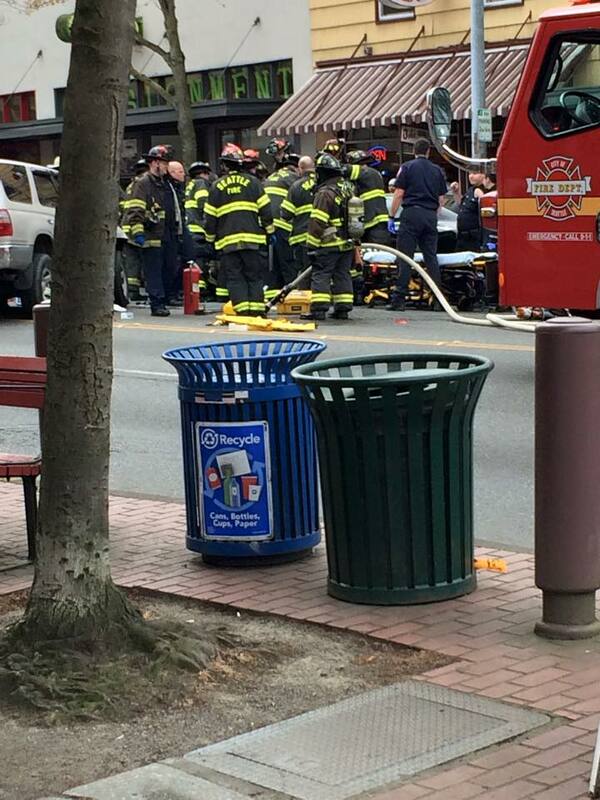 Columbia City’s main business district was the site of another major accident today on Rainier Ave.
At around noon, an SUV traveling northbound at a reportedly incredibly fast speed was driving recklessly, weaving in and out of traffic. 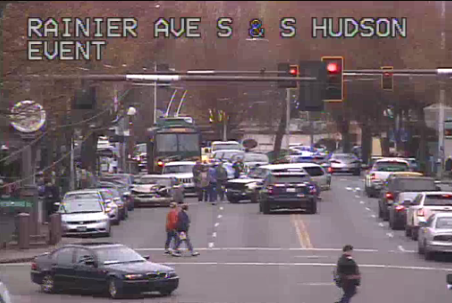 The SUV appears to have crossed into the south bound lane of Rainier, striking one car head-on. This occurred on Rainier Ave, between Edmunds and Ferdinand, in the heart of the Columbia City business district, right in front of Bob’s and Retroactive Kids It appears other cars (possibly parked) were damaged as well. The accident caused severe damage to the cars involved, requiring the roof of the struck sedan to be removed in order to gain access to the driver. Police, fire, and medic response was quick, with multiple trucks and ambulances arriving quickly. Rainier was essentially shut down for most of the afternoon (with the last car being towed away at around 3:30), causing major traffic and transit disruptions. Initially, there was chatter on Facebook that the SUV was stolen. However, others chiming in indicated that the SUV was registered to the driver’s father. Neither of these claims have been verified. Despite the severity of the accident, there is no indication of life-threatening injuries. KIRO had this initial post up on their website earlier in the afternoon. 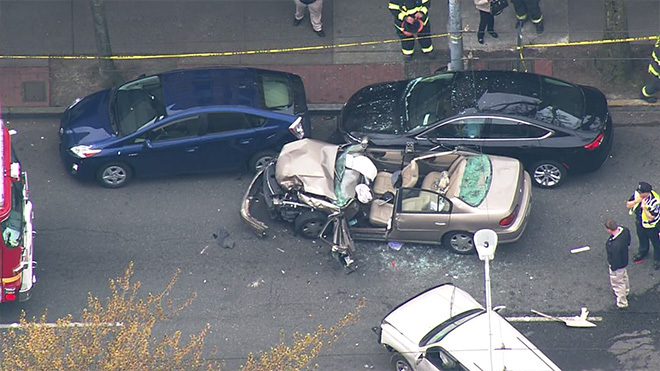 KOMO also had some information posted, including some aerial photos from their helicopter. Columbia City Source has been receiving heavy traffic all afternoon/evening which suggests neighbors are looking for more specifics about today’s accident. Like I said before, above is essentially what I can piece together from Facebook and some quick conversations from those I was able to chat with later in the afternoon. If you have more information or were there, be sure to use the comments to help keep the neighborhood informed.